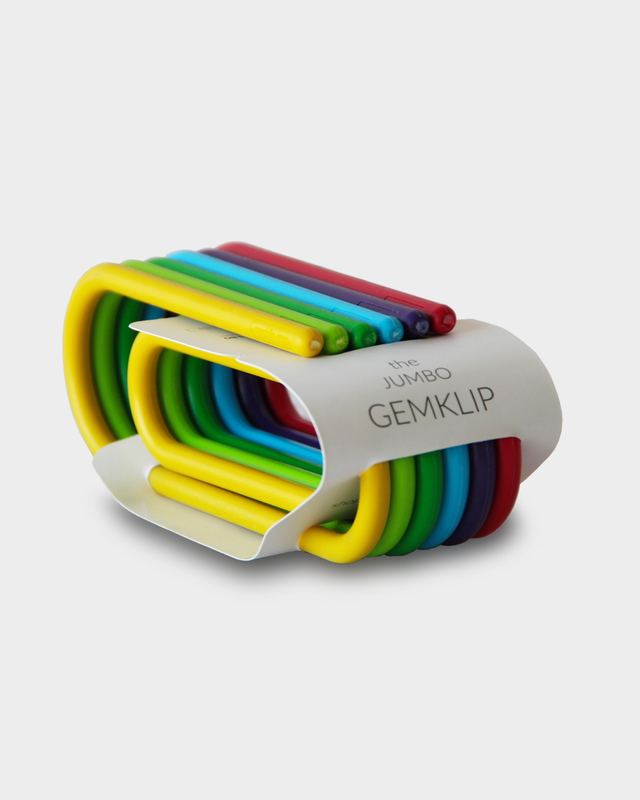 Jumbo Gemklip is a jumbosized gem clip made with super strong ABS plastic that can be used in a 1000 ways. Use them as key rings, bookmarks, curtain binders, to seal food packets and more. It comes as a pack of 6 in six attractive colours of red, purple, blue, dark green, lime and yellow. Your imagination is the limit for finding new and creative used for the Jumbo Gemklip. So get creative and start inspiring with the Jumbo Gemklip! At Gemklip.com we like to come up with cool and creative ideas for products that inspire people to do more. And we take great interest in creative stationery because simple things like stationery often tend to have a huge impact. There are numerous companies making office stationery and supplies. But where Gemklip.com tries to be different is by offering stationery solutions that are creative and inspiring as they are functional. One such idea of ours was the Jumbo Gemklip. It is basically a blown up gem clip made with super strong ABS plastic. 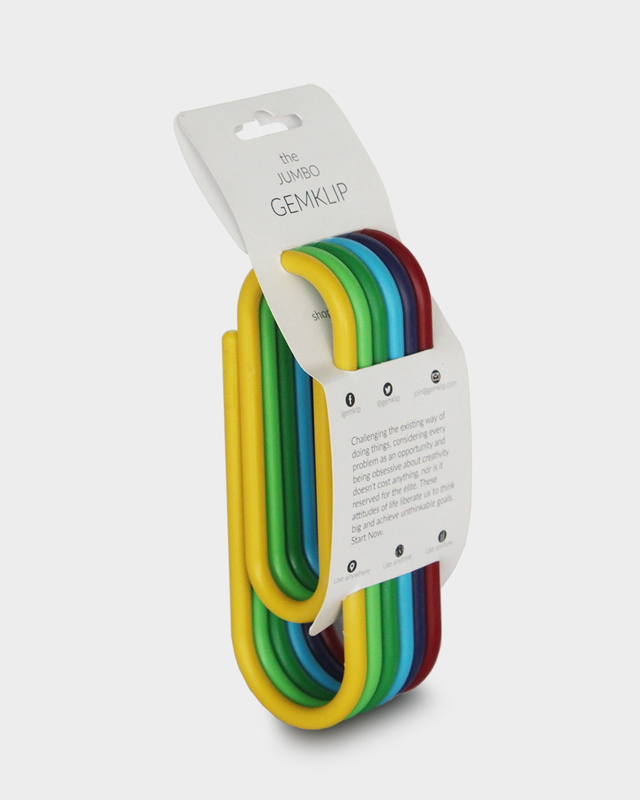 The Jumbo Gemklip is a truly universal multipurpose clip set. 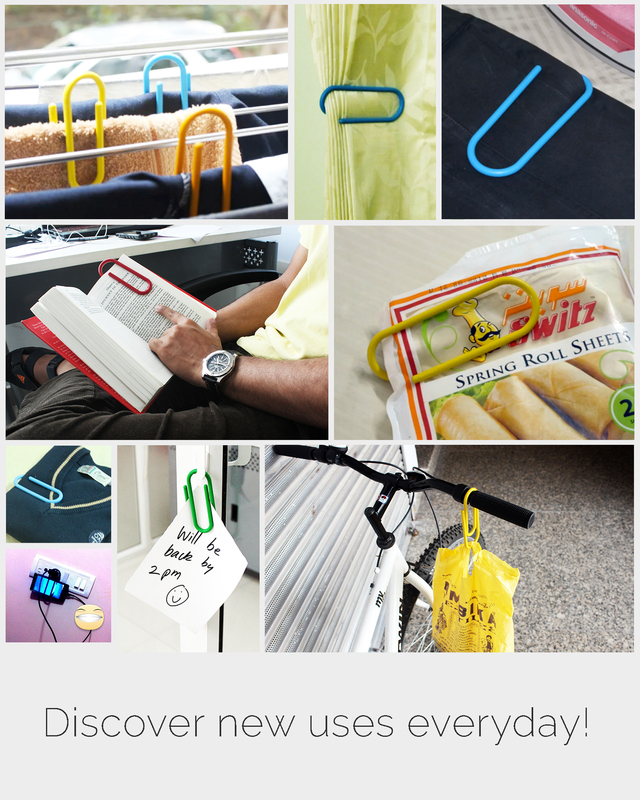 They can be used as paper clips, bookmarks, curtain restraints, to hang things and more. The Jumbo Gemklips have been solely designed with the creatively inclined people in mind. The unique and creative uses of the Jumbo Gemklips is only limited by the imagination of the users. So if you’re looking to buy unique gifts online, you’ve just found your best pick. So now, it’s your turn now to inspire and be inspired. Click here to find out how the Jumbo Gemklip was developed. You will find lot of areas where this product is useful once you have it.